Three Indian former ambassadors trekking around Dolpa - Integration Through Media ....! 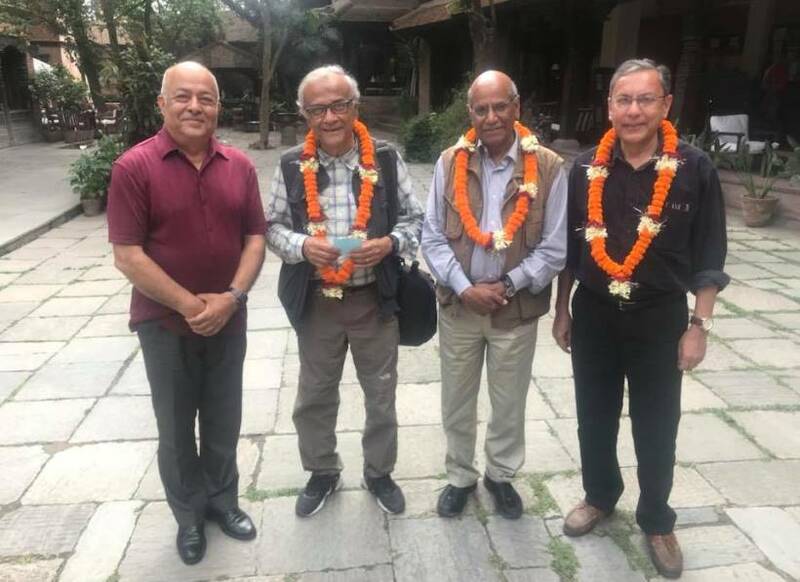 TRIPURAKOT: Three former ambassadors of India to Nepal have arrived here for observing the natural beauty and religious heritages in Dolpa district. Former Indian ambassadors Ranjit Raya, Deb Mukherjee and Shyam Saran have come here on a 15-day visit. The former envoys said that they have come on a visit as they were attracted by the natural beauty and the biodiversity found in Dolpa. Former ambassador Rya said he has been drawn to Dolpa as it is a district with rich natural beauty and huge tourism potentials and religious heritages. Raya was at the Goddess Shreebala Tripurasundari Temple at Tripurakot of Tripurasundari Municipality to pay homage. He had visited Dolpa before this also. He said Dolpa has lagged behind due to lack of publicity. The Goddess Bala Tripurasundari temple has been constructed with Rs 33.3 million support provided by the Embassy of India. The three former ambassadors are scheduled to return Kathmandu after visiting Jufal, Tripurakot,Dunai, Dho Taksi, Shey Phoksundo lake.